Yes, I’ve been away for a while. I have been dealing with a broken heart. It was broken so brutally that at some point I totally lost it and my father, the greatest father in the world, came all the way to Helsinki from Turkey and took me back to Istanbul with him. Family always helps. 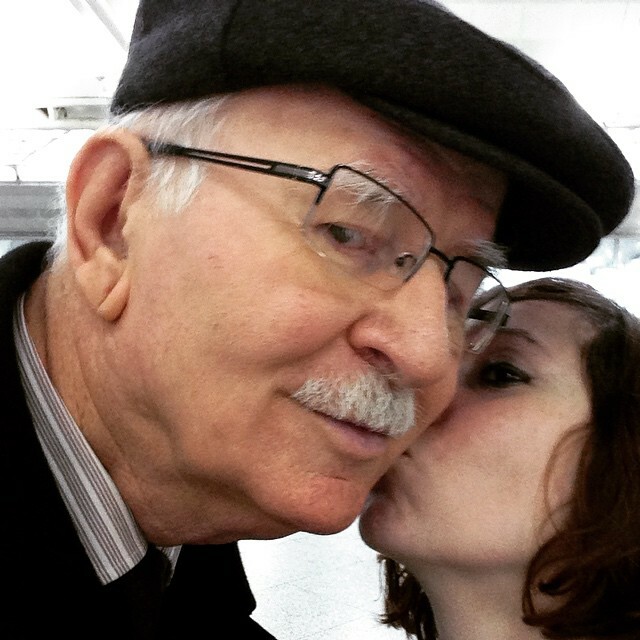 Especially if you have a father like mine..
Until this mini vacation, I did not spend much time in Istanbul, for 3 years. At first I was so scared of the city that it added more to my anxiety. There were too many people, too many buildings, constructions everywhere, so many skyscrapers, residents, suites, plazas.. So much traffic.. Or in the highway, incredible speed.. It was like a big shock to me. I could not recognise the city, I did not feel any belonging. And yet, the last few weeks I had in Helsinki before going to Istanbul also put some distance between me and Helsinki. So now I don’t feel I belong to anywhere and I am quite confused about that. I feel as if I were on a transfer flight and in the transfer airport I lost my passport and so got stuck in the middle…. I could not eat much in Istanbul, even the things that I missed most, my emotional situation prevented me from eating. But I still documented a few interesting things to eat if you ever go to Turkey — these things you can find anywhere in the country, they are not especially related to Istanbul. If you go to Turkey, you know you can eat kebab etc. but these things I will recommend are more related to the everyday life in Turkey. 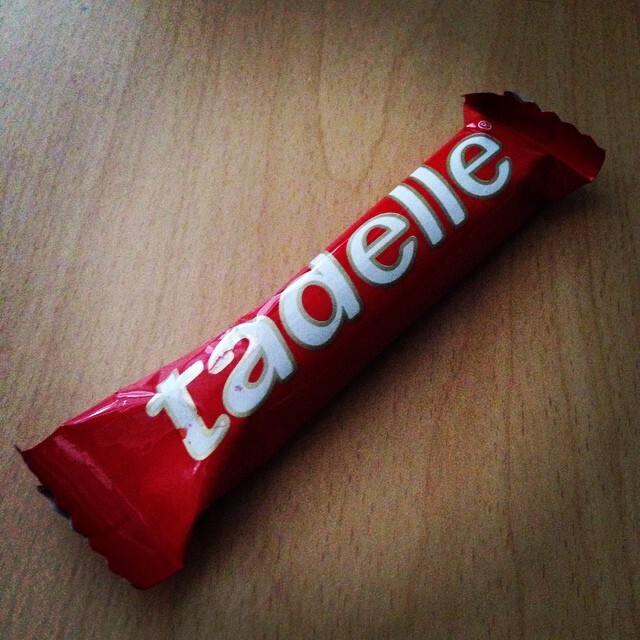 Tadelle is a legendary chocolate for me. It is the best combination of cacao and rich hazelnut. Turkey is the largest producer of hazelnuts in the world – %75 of worldwide production comes from there. Hazelnuts are a specialty of Black Sea region and with my roots in Black Sea, I am crazy in love with hazelnuts. There are a few kinds of Tadelle: milk chocolate with hazelnuts (red package), bitter chocolate with hazelnuts (black package). white chocolate with hazelnuts (white package), milk chocolate wafer with hazelnut cream (again, red package) and many more.. My favourite out of all is the basic milk chocolate but all of them are incredibly tasty..
Another great thing about Tadelle is that it is health, because it uses natural ingredients, such as pure vanilla extract instead of vanilla essence, and it does not contain any trans fat. Besides, Tadelle uses non-GMO soy lecithin. What more can I say? Eat Tadelle every day, any time of the day, and bring me some if you can!! This is probably the one thing that you can find in abundance in every single corner of the country. You can find simit sellers everywhere on the streets, plus you can find it in all the bakeries. It is a crunchy bagel/bread, covered with sesame on top of a layer covered with molasses. The crunchiness, size and sometimes shape of it vary according to different regions. Simit has been the most important part of daily life in Istanbul since 1525. And yes, as I said, you have to drink tea. But please, do not drink that apple tea that they serve for tourists. Drink well-brewed black tea. Drink it hot in a hot summer day, and be amazed how cool it feels afterwards. Toast is the easiest way to fill your stomach! I am not so sure, but I feel that it is more common than other kinds of sandwiches in Turkey. 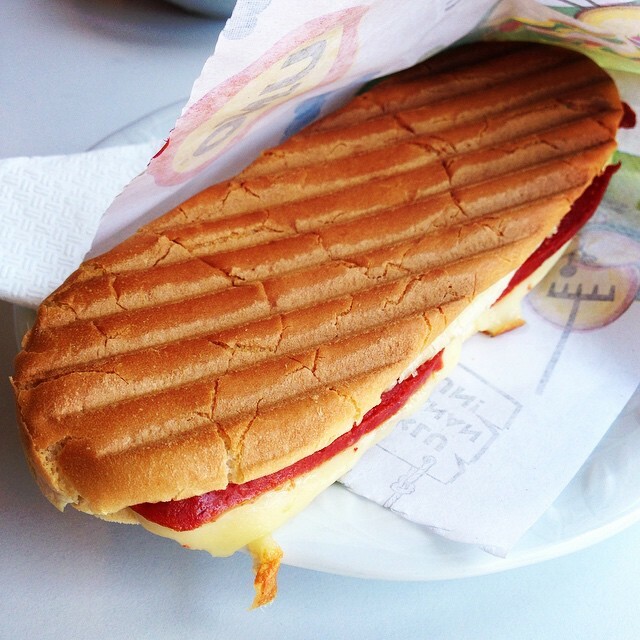 In any small restaurant, or kiosks, you can find a variety of toast: mixed toast (generally with kaşar cheese and Turkish sausage called sucuk), plain toast (with cheese only, adding tomato makes it taste even better), Ayvalik toast (with cheese, sausage, sucuk, pickled cucumbers, mayonnaise, ketchup etc. )… It is a very quick and nice fast food. Ok, now I start to feel hungry! 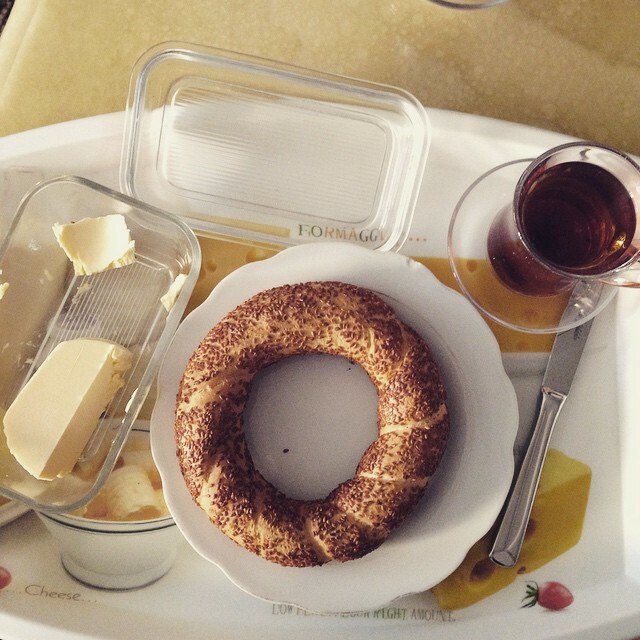 Kuruyemiş is one of the basic snacks in the country. There is a rich variety of these you can find in small specialised shops where you can buy in grams, or you can buy packed versions in the markets. These are generally: all sorts of nuts, like hazelnuts, cashew nuts, peanuts etc., salted or non-salted, mostly roasted; dried fruits like apricots, figs, grapes, raisins etc. 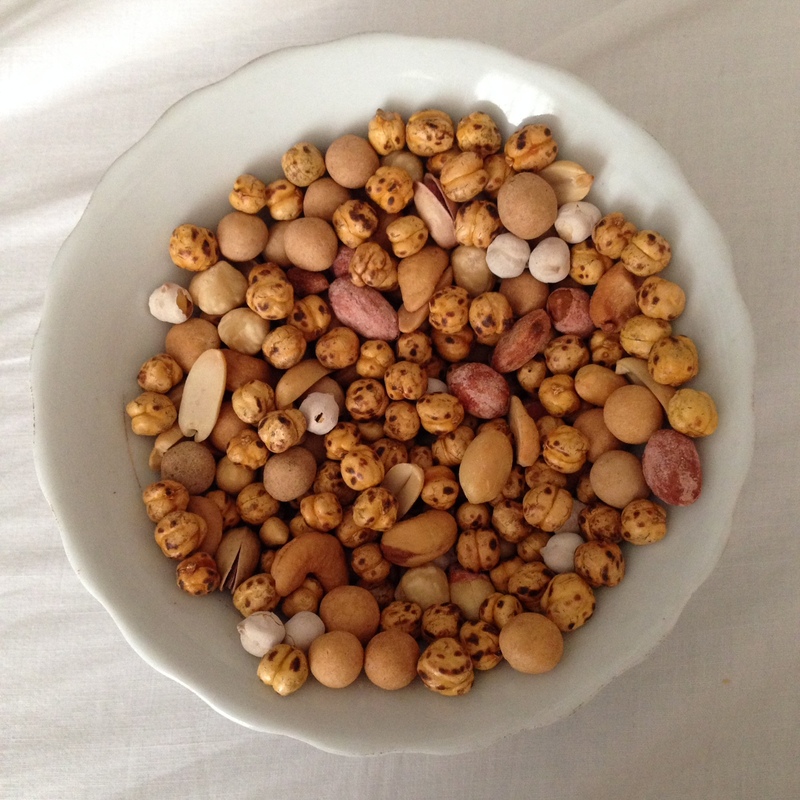 ; leblebi, which is roasted chickpeas, with versions yellow, white, candy coated etc. Raisin and yellow leblebi combination is especially great; sunflower seed, pumpkin seed etc. In Helsinki, you can find leblebi and seeds in package in Alanya market in Itäkeskus or in Hauler Oriental Market in Kaisaniemi (the seeds are sold with the shell and you have to learn how to take the seed out of shell!). Dried nuts and fruits are commonly sold in any market in Finland, but they are really expensive compared to those you can buy in Turkey. 5. 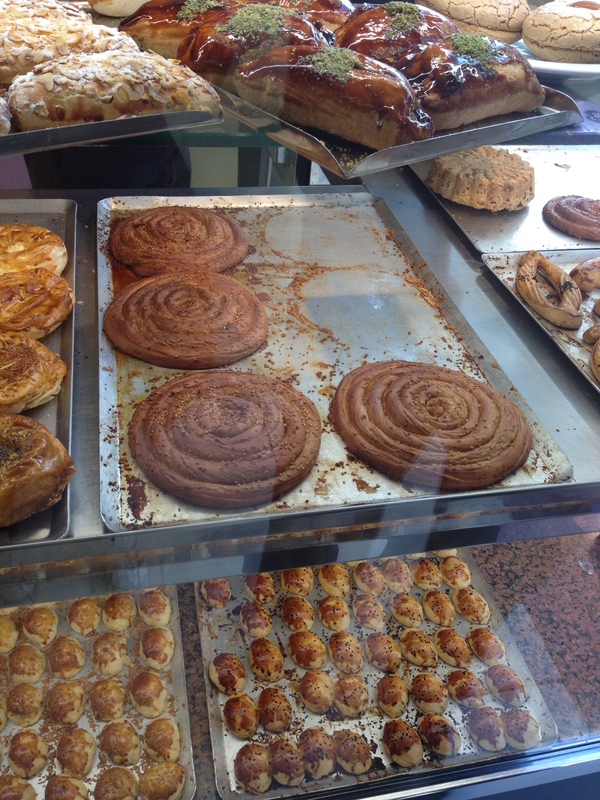 Poğaça and other various pastries – Visit patisseries and bakeries! 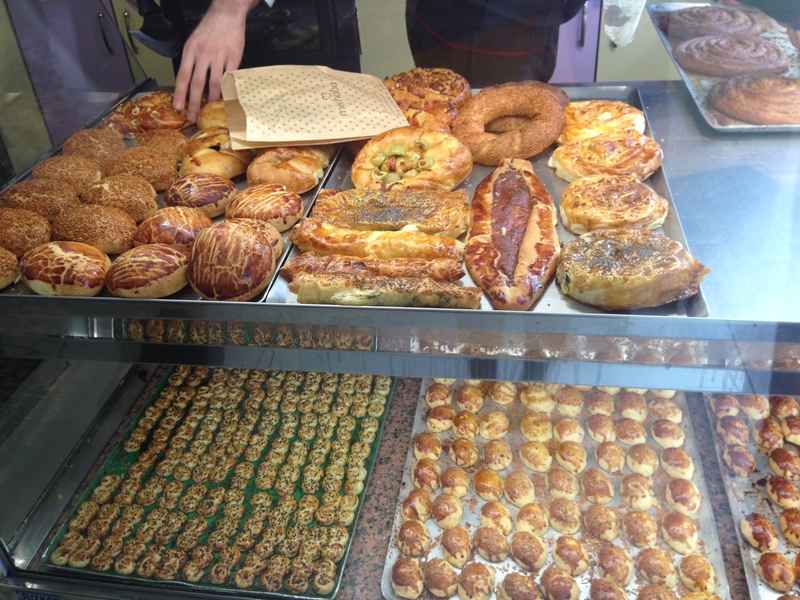 Poğaça, as seen in the upper left part of the photo, is a very common pastry that you can find mostly in patisseries, but also in bakeries. There are many different versions: plain, with cheese, potato, olives, ground meat etc. The plain one tastes almost the same as voipulla. My favourite ones are plain and those with potato. Yummmm…. You can try homemade version from this recipe: https://mydearkitcheninhelsinki.com/2013/03/29/salty-pastry-with-potato-filling/ The homemade versions generally taste slightly different than patisserie versions, but it is still tasty. So yes, apart from many different kinds of kebabs, baklava, or other famous Turkish dishes, you can eat these and feel like a local. I am now back in Helsinki. After being away for a month, it feels slightly weird to be back, but at least I am not crying anymore and I am not scared to stay home alone. I wonder if, when, how my heart will be healed completely. I will never understand how one can easily switch from one person to another, especially after claiming he has feelings. I don’t know what I did to deserve this; while I have been miserable for a while, they are very happily together I suppose. Well, I hope he does not break anyone’s heart again… I am brutally hurt. thanks. i hope it will get better very soon! Poğaça. Kaşarlı, patatesli hatta içi boş zeytinlisi… Olsa da yesek. Next PostFinding My Way Into Norwegian Cuisine – Eat Oslo!